An object in space with enough mass in a relatively small region of space that nothing can escape its gravity, not even light. An object in space with enough mass in a relatively small area that nothing can escape its gravity, not even light. By their nature black holes can't be seen, but can be observed through their gravitational effects on other objects. Some are probably left over from the Big Bang, and new black holes can be created when large stars collapse. 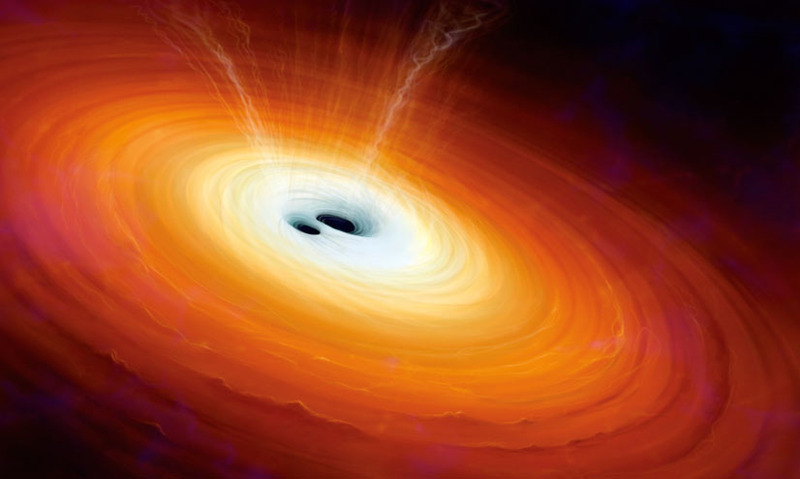 By their nature black holes can't be seen, but can be observed through their gravitational effects on other objects. Some are probably left over from the Big Bang, and new black holes can be created when large stars collapse.